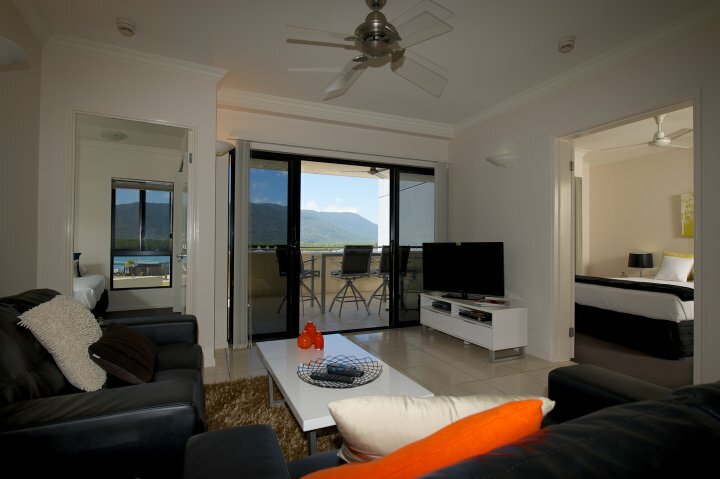 Jack and Newell Holiday Apartments offer quality accommodation at the quiet end of the Cairns CBD. 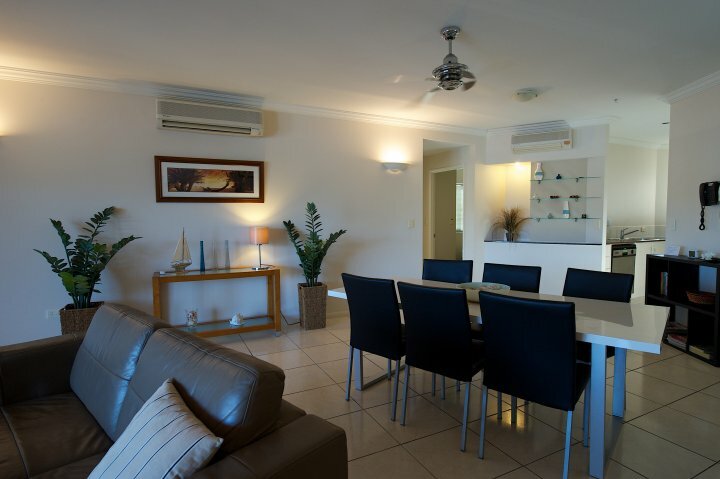 These large roomy well appointed apartments make you feel at home. 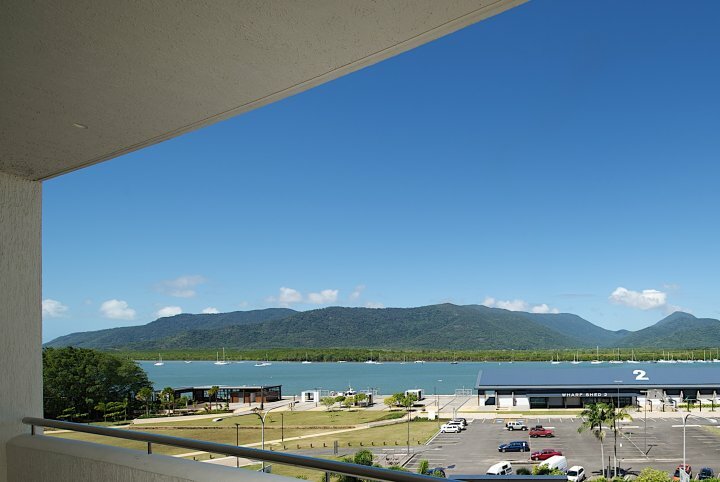 Centrally located, it is a short walk to the marina, casino, convention centre, restaurants and shopping yet at the quiet side away from the noise of clubs and pubs. 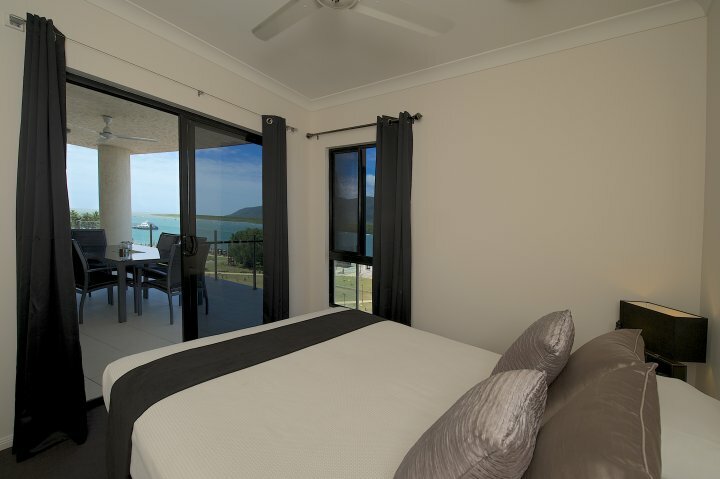 The 17 apartments are fitted out with quality furnishings and comfortable beds. 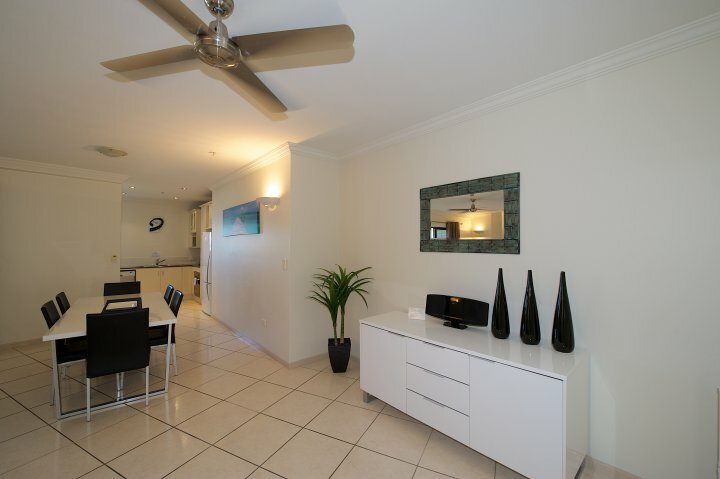 Full kitchens with appliances and full laundry means you can move in, stock the fridge, make yourself at home and relax. 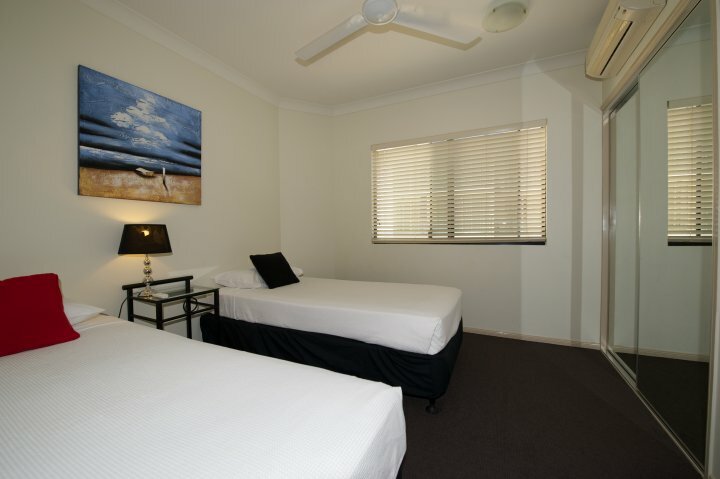 Free inclusions are pay TV, internet and car parking. 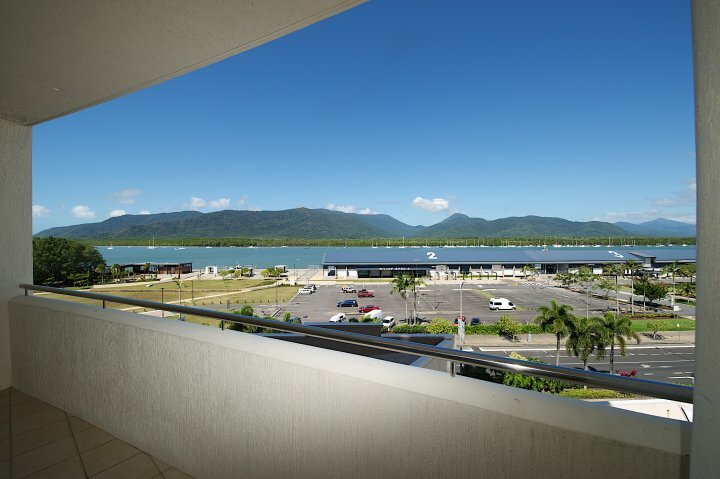 Most apartments have magnificent views overlooking Trinity Inlet and across to the rain forest hills and also out over the Coral Sea. 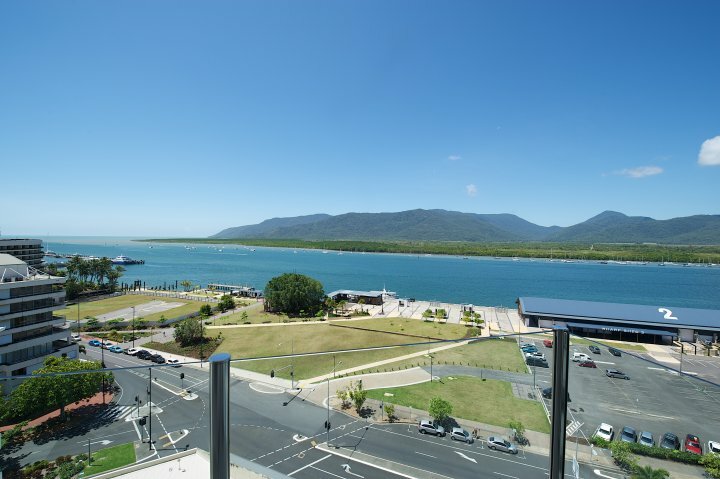 Relax on the balcony with a cold drink and watch the boats and ships cruise into the inlet. Our friendly, informative staff will also provide advice on things to do, places to see and recommendations for dining and shopping. Information and bookings for Tours is also provided. 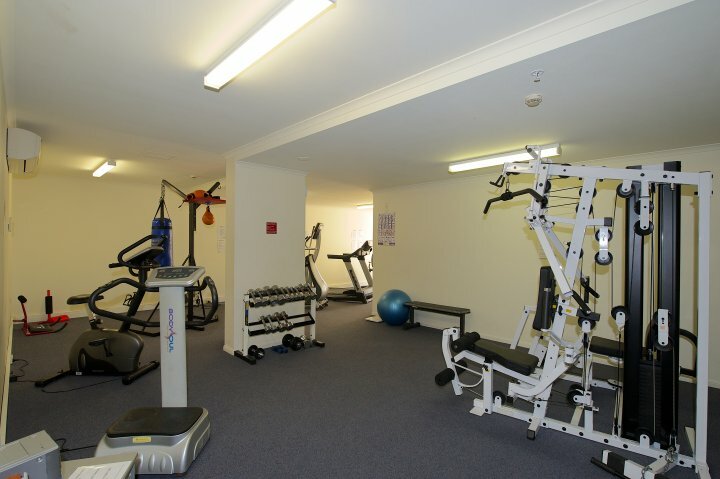 The complex has a well equipped gym with showers and pool and BBQ facilities. 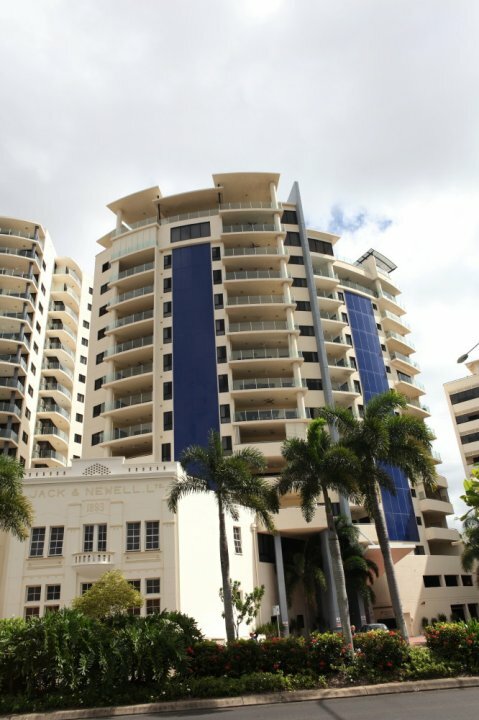 Huge 100m2 (1075ft) full residential sized apartment. Well equipped kitchen. Laundry. Open plan lounge & dining. Huge balcony(lanai) with great water views. Weekly Service. 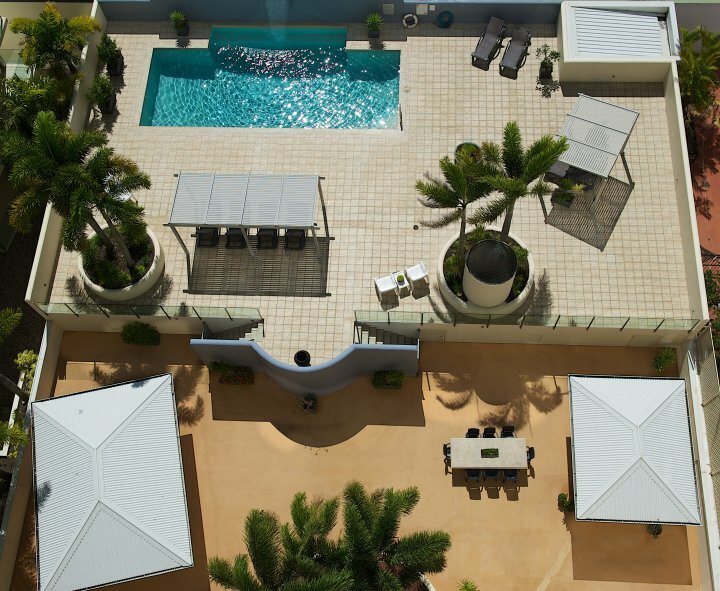 Huge 100m2 (1075ft) full residential sized apartment. Well equipped kitchen. Laundry. Open plan lounge & dining. 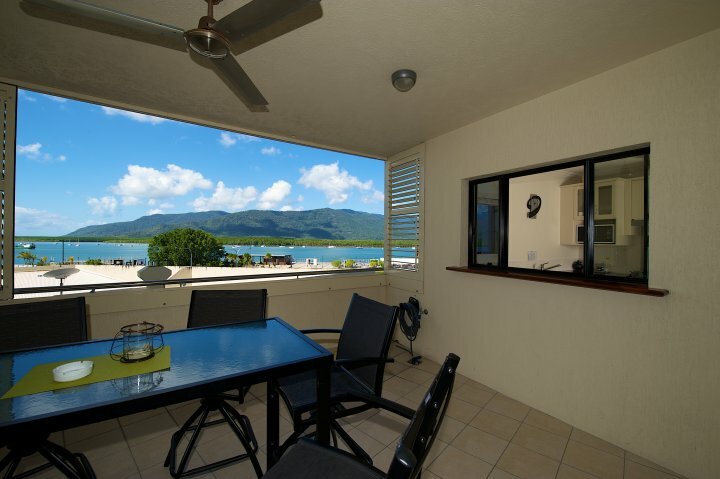 Huge balcony(lanai) with great water views. 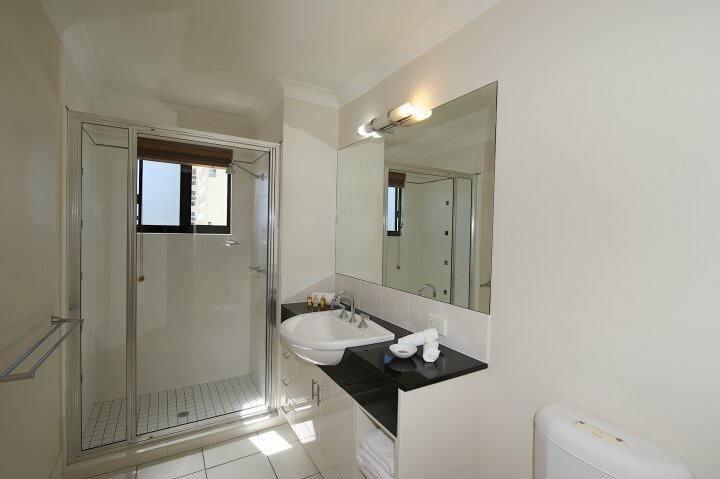 Large 120m2 (1300sqft) full residential sized apartment. Well equipped kitchen. Laundry. 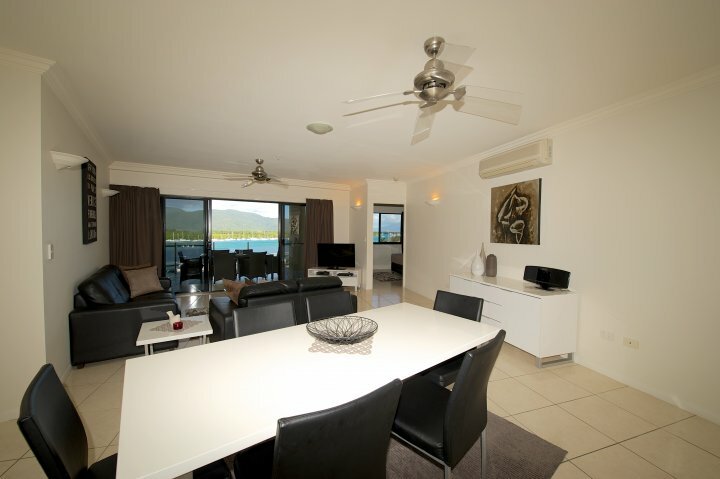 Open plan lounge & dining. Huge balcony(lanai). Lower level apartment. 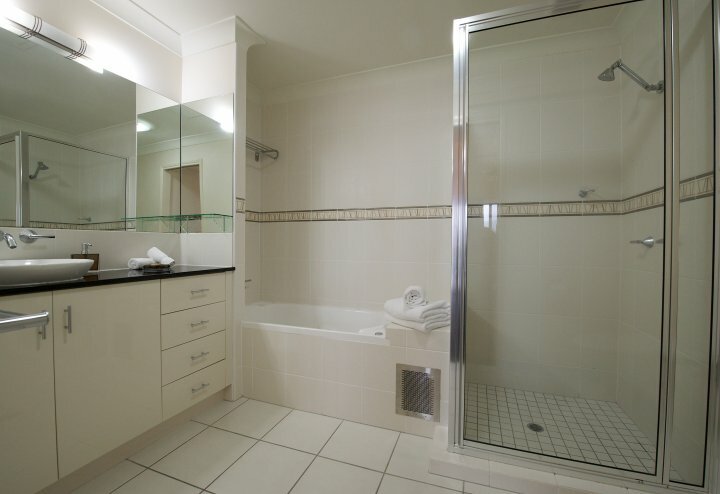 Large 160m2 (1750sqft) full residential sized apartment. Well equipped kitchen. Laundry. Open plan lounge & dining. Huge balcony(lanai). Lower level with limited views. Weekly Service. 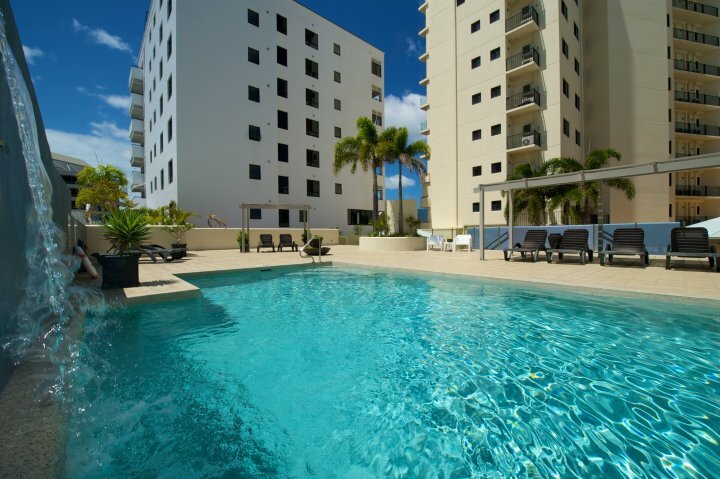 Huge 160m2 (1725ft) full residential apartment. 3 Bed 2 Bath. Full well equipped kitchen. Laundry. Large open plan dining & lounge. 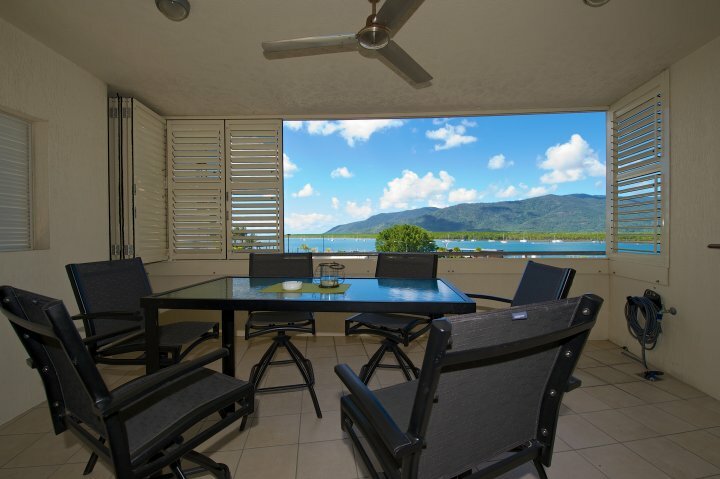 Huge balcony (lanai) with magnificent water views. Weekly Service. 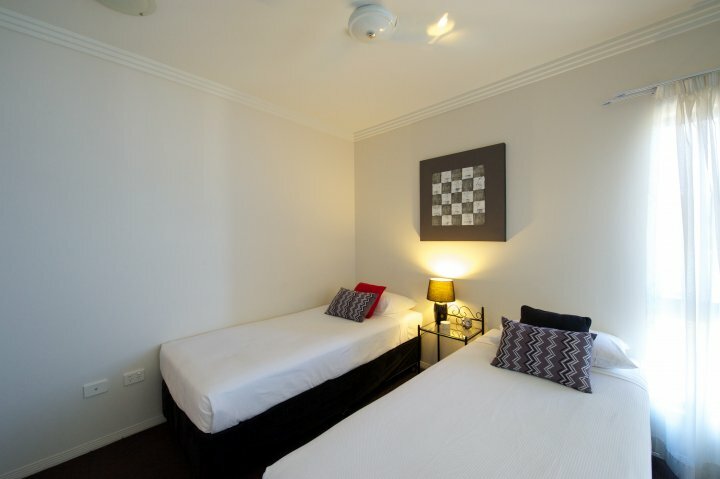 NO CANCELLATIONS...FULL PAYMENT ON BOOKING 2 bed, 2 Bath120m2 CBD apartments with spacious living areas. Large balcony. Well appointed with full kitchen and Ldry. Lower level with limited views.A real home away from home. Free cable TV, WiFi and Car park. 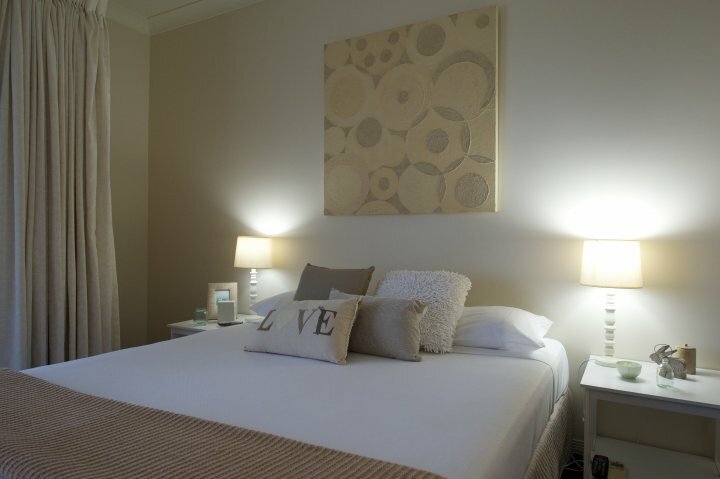 NO CANCELLATIONS...FULL PAYMENT ON BOOKING 3 bed 160m2 CBD apartments with spacious living areas. Large balcony. 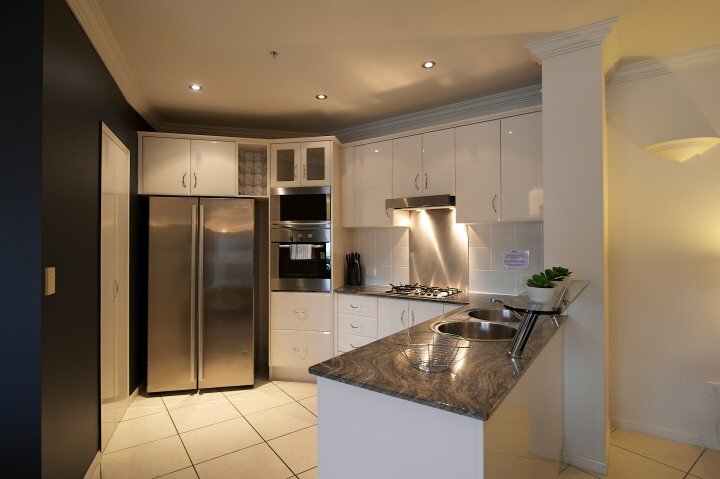 Well appointed with full kitchen and Ldry. Lower level apartment with limited views. A real home away from home. Free cable TV, WiFi and Car park. SPECIAL. NO CANCELLATIONS. Full payment on booking. 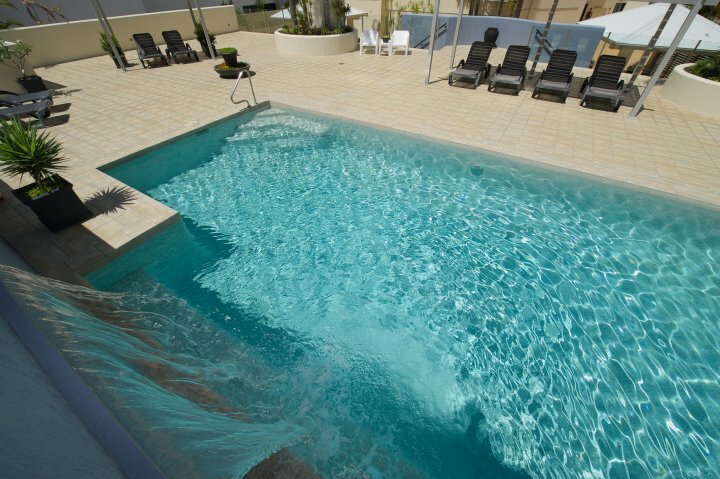 Large 120m2 (1300ft) full residential apartment. Full well equipped kitchen. Laundry. Large open plan dining & lounge. 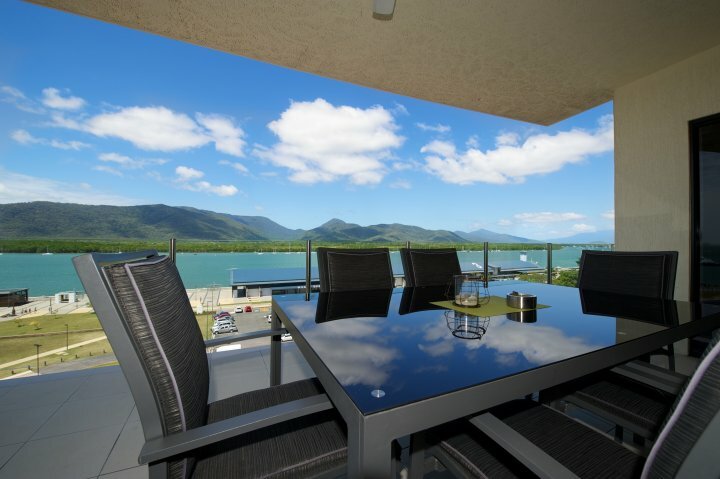 Huge balcony (lanai) with magnificent water views. Weekly Service. SPECIAL!. 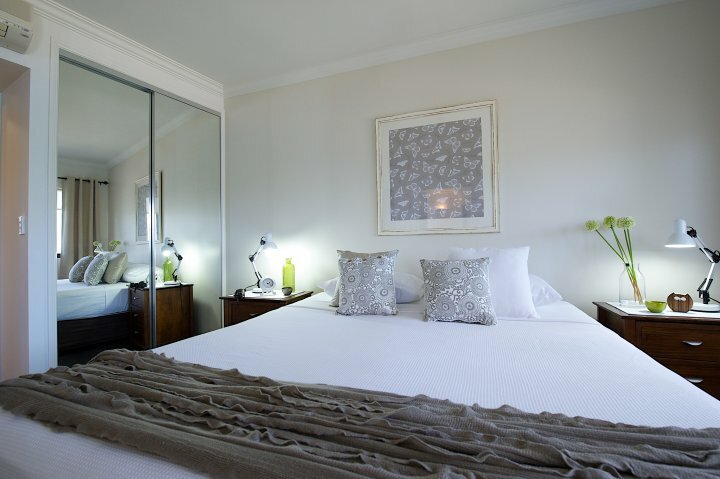 3 BR DELUXE Water View- 3 Night min No Cancellations. Full payment on booking. SPECIAL. NO CANCELLATIONS. Full payment on booking. 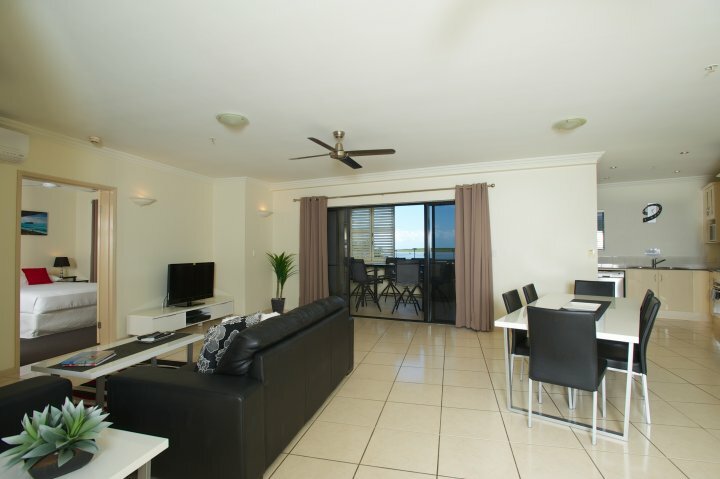 Huge 160m2 (1725ft) full residential apartment. 3 Bed 2 Bath. 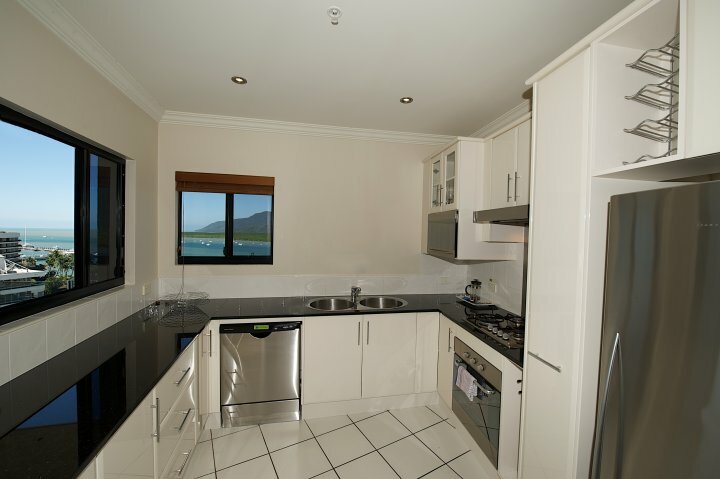 Full well equipped kitchen. Laundry. Large open plan dining & lounge. Huge balcony (lanai) with magnificent water views. Weekly Service. 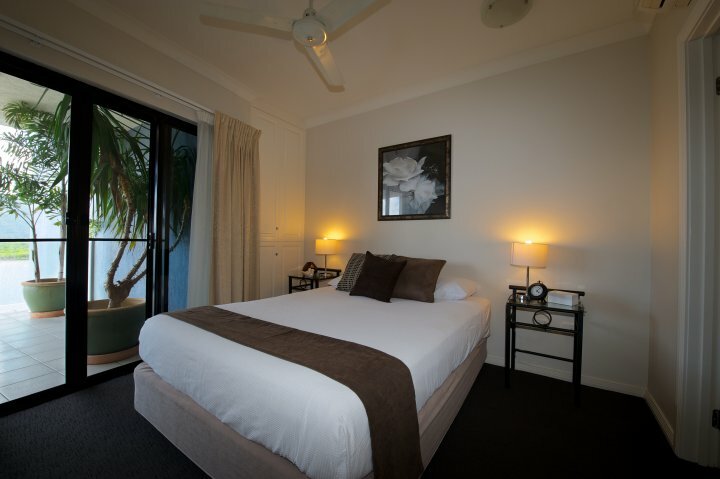 Extra guest and children can be accommodated with cots, high chairs and trundle beds available for hire. 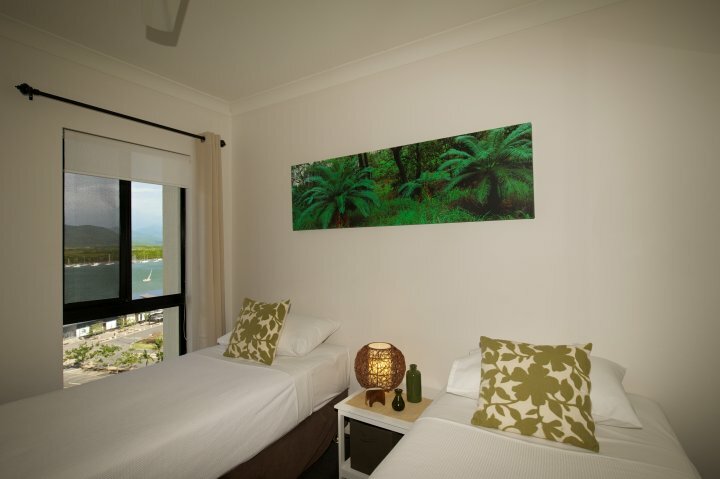 Cairns has a vast array of places to visit and things to do. 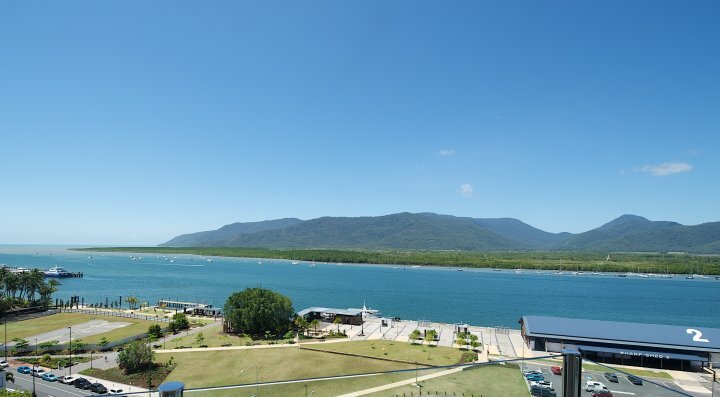 The Great Barrier Reef is on the doorstep and a trip to Cairns woiuld not be complete without snorkelling or diving on this natural wonder. Some magnificent world heritage rainforests with crystal clear swimming, volcanic lakes and magnificent sights and wildlife also beckon. Adventure activities also abound with skydiving, quad riding, helicopter tours, scooter tours, horesriding and bungy jumping to name a few. The friendly knowledgeable staff at Jack & Newell will be able to advise on what to do and when is the best time.